JLS will headline five summer festivals in the UK, Stereoboard.com can exclusively reveal. The most popular boy band of 2009/2010 have already announced, and subsequently sold out, two headline tours of the UK for this year. Jack The Lad Swing (JLS) will kick off their first sold out tour of the year in Margate on Jan 29th, and the X Factor runners-up of 2008 will now play five additional summer shows this July. Tickets for Margate and Peterborough go on sale next Monday February 1st at 9am, and the Exeter date will go on general sale on Thursday February 4th at 9am. JLS tickets are priced £28.50 plus booking fees (+£5 parking). 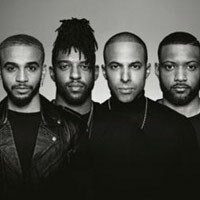 Click Here To Buy JLS Tickets with Stereoboard.com. Rising pop star Hatty Keane will support JLS on their December farewell tour. JLS have unveiled their last ever music video, created for their final single Billion Lights. UK boyband JLS have announced their last ever single, Billion Lights. Little Mix will tour Australia in July.